A custom-framed, archival giclée canvas print reproduction of "French Garden Shed" by Jason Rafferty. Canvas mounted on panel. Signed on the back. Hand-mounted, hand-assembled. Approx. 14 x 17.5", including frame. Arrives ready-to-hang. Only one available. A custom-framed, archival giclée canvas print reproduction of "French Garden Shed" by Jason Rafferty. Canvas mounted on panel. Signed on the back. Hand-mounted, hand-assembled. Approx. 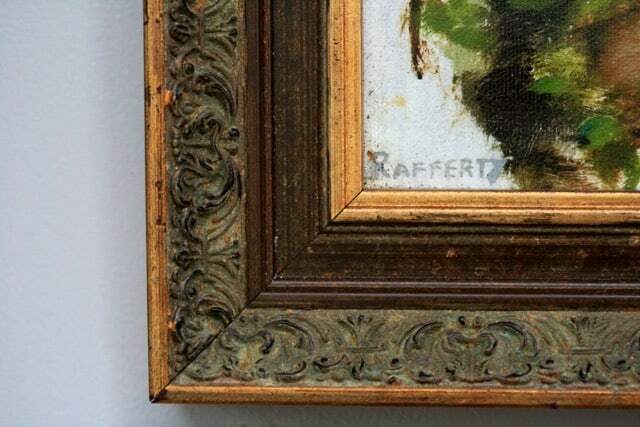 14 x 17.5", including frame. Arrives ready-to-hang. 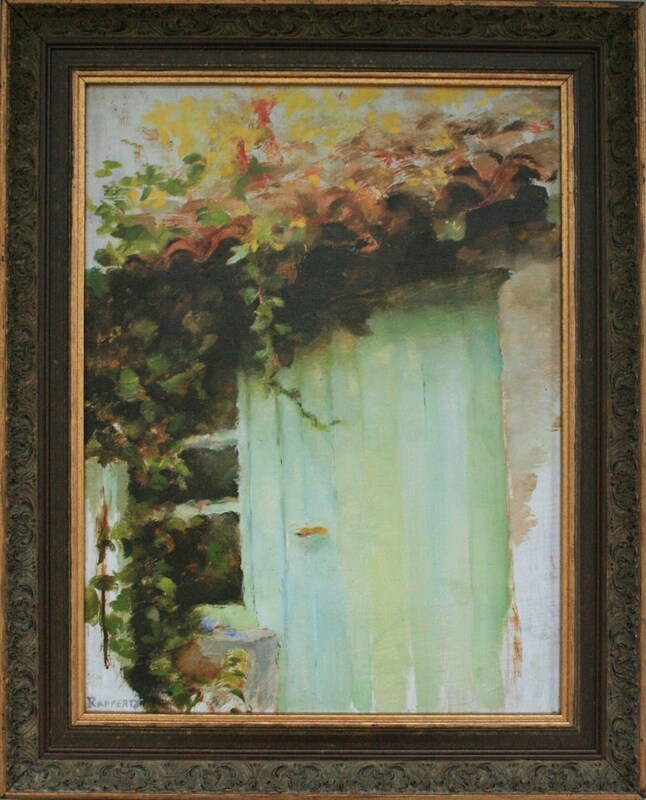 The original piece "French Garden Shed" was painted in Argenton-les-Vallées, France, just below the Loire valley region, near Angers. I walked past this scene each night after attending painting class during the day. When I saw the yellow wildflowers in bloom growing on the terra-cotta tiled roof, I knew I needed to capture it, and returned that evening to paint this. 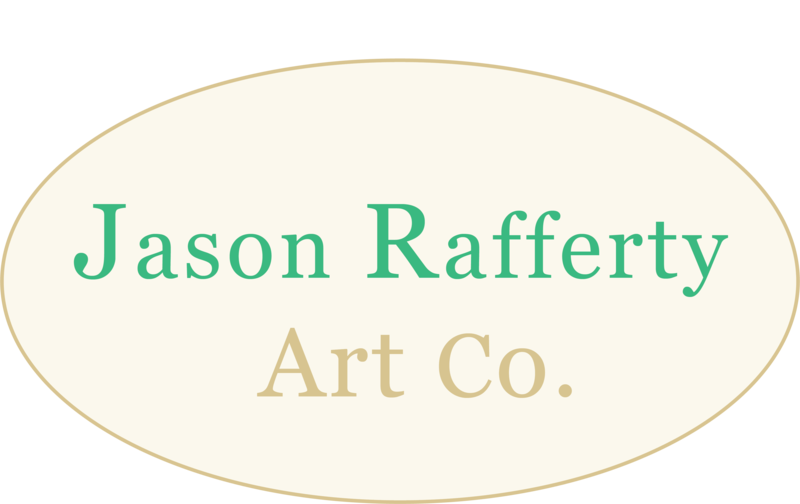 Jason takes pride in using the finest-quality materials and constructs his pieces archivally, with longevity in mind. He is scrupulous with quality checking, and is focused on delivering you a quality piece of art that can be enjoyed for many years. This print is created with colorfast inks on 100% cotton rag canvas, and is mounted to mdf board using archival glue to ensure maximum longevity.